Muddy says: This boho glamping ground is truly unique – it’s eclectic, fun and has tonnes of personality. 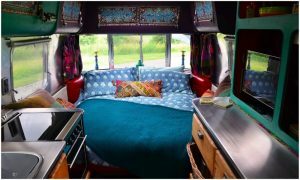 Whether it’s an Airstream, a vintage caravan, a teardrop trailer, a VW, a motorhome, tent or your jeep, this glamping ground is for you and welcomes anything that is a little different. This family-run site is nothing like you’ve ever seen with the poshest shower and camping loo combo ever! Run by Linds and Dom it’s a brilliant place to bed down for the night, with or without the kids for a few days away from home. 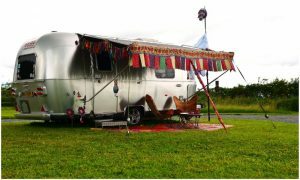 On site there are two Airstreams trailers to choose from – The Ettie (sleeps two) or Missouri (sleeps two) or the Eliza vintage caravan (sleeps 2) and you can also rent pitches – both hard standing or grass pitches are available. 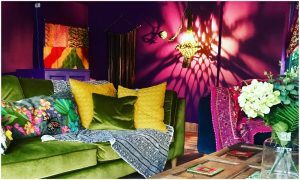 Chill our in the colourful Clubhouse that comes complete with gorgeous eclectic, bohemian vibe. Here you can where you can help yourself to tea, coffee, hot chocolate, and other refreshments or shop in the on-site ‘Boho~tique’ where you can pick up some wonderful goodies. Nearby there’s plenty to see and do including a selection of great pubs and restaurants and dogs are also welcome. 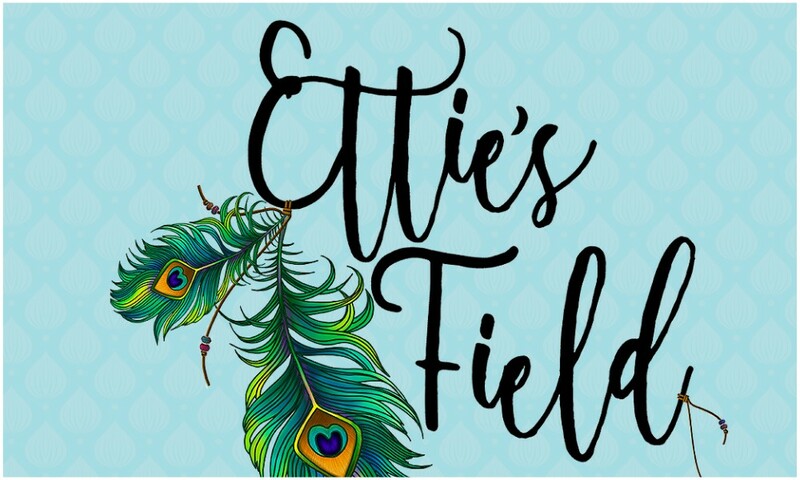 Etties Field, Westlands, Sibson Road, Ratcliffe Culey, Atherstone, Warwickshire, CV93PH.